An instant teleportation to the streets of Malaysia. Hitting up cities Sydney and Melbourne? Mamak should be the number one name that you should familiarize yourself with. 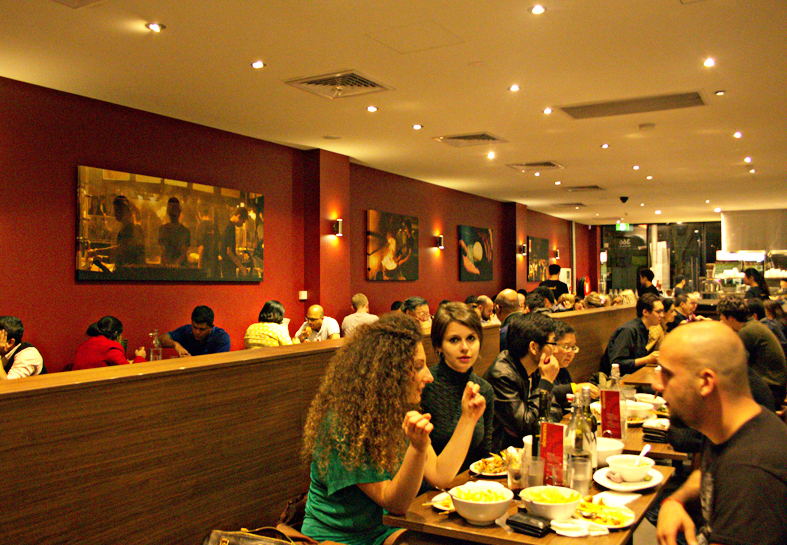 This Malaysian restaurant has raked up numerous awards and finds themselves topping international and best-of-Australia lists, which also means one thing: queues. Every single night is a full house at this treasured dining alcove in Melbourne (and Sydney's), and it's not difficult to see why. It's dangerously tempting to go on a hungry stomach because queues can snake up to 30 minutes worth of waiting time, and you will be tempted to look into the glass windows and see chefs flipping and crispifying the rotis. 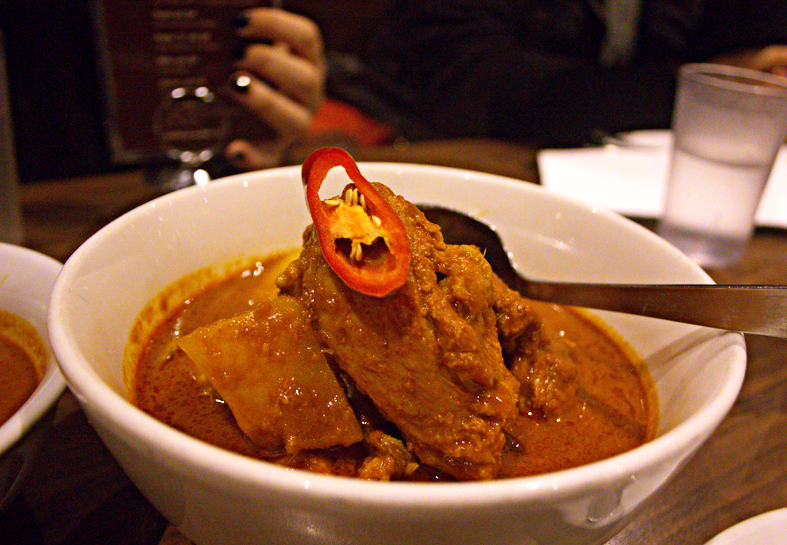 The Kari Ayam (AUD16) is a piquant, thick and hearty signature curry with chicken, potatoes. The curry was likely to be cooked for a really long time and simmered with a lavish amount of spices, because it had a very intense flavor characteristic of South East Asian cuisine. It pairs excellently with rice. 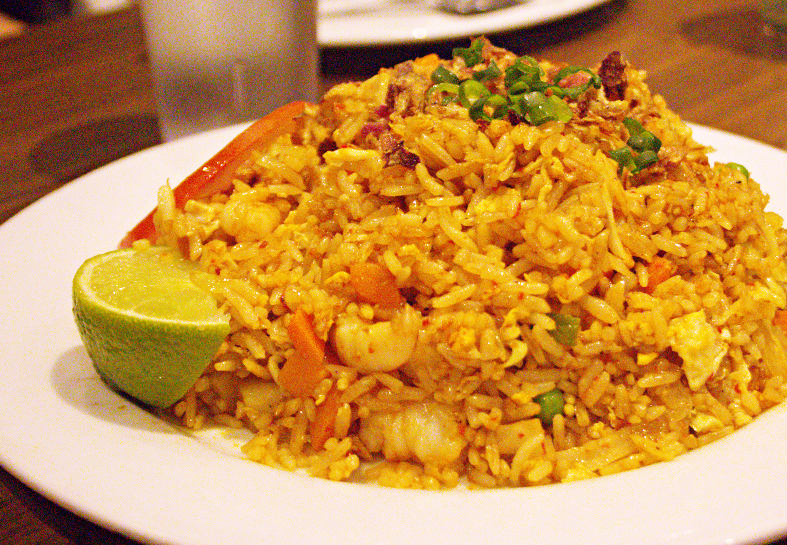 Nasi Goreng (AUD12) is a tasty party on a plate, with a pinch of spicy sambal but it is also characteristic of most restaurants in Melbourne, it tends to be rather heavily seasoned. Keep your teh tarik close by. 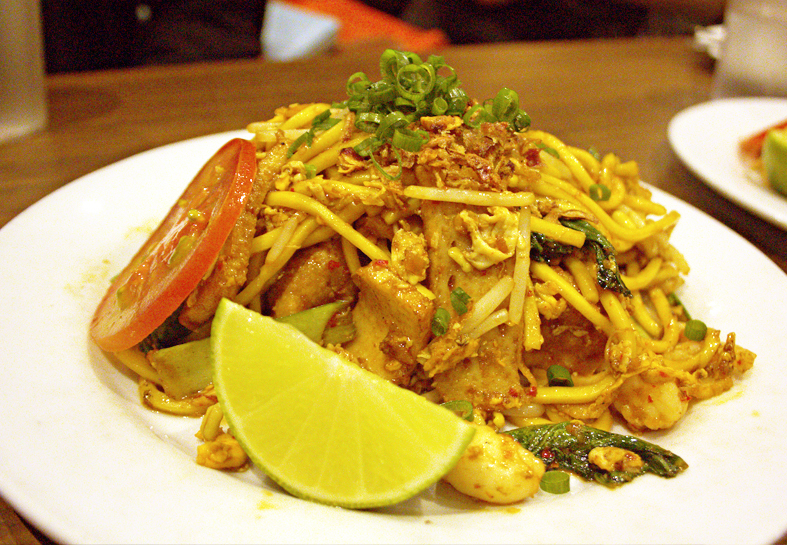 The Mee Goreng (AUD12) is the perfect comfort food if you are missing the tastes from home (ie. Malaysia/ Singapore) because it has both Hokkien noodles and a bit of char kuay teow, all with the familiar wokhei tastes swept together as one. 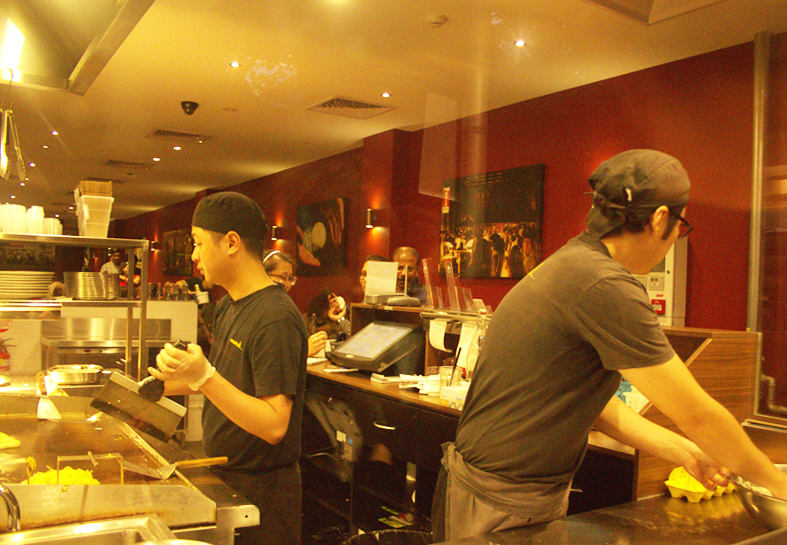 Mamak is famous for their rotis, which they also sell at Queen Victoria Market's weekly night markets. 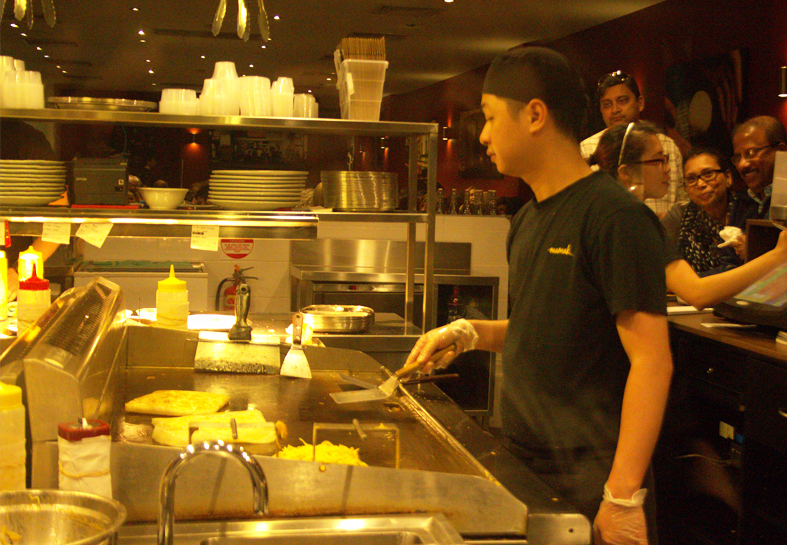 There are a range of roti to choose from, savoury and sweet. 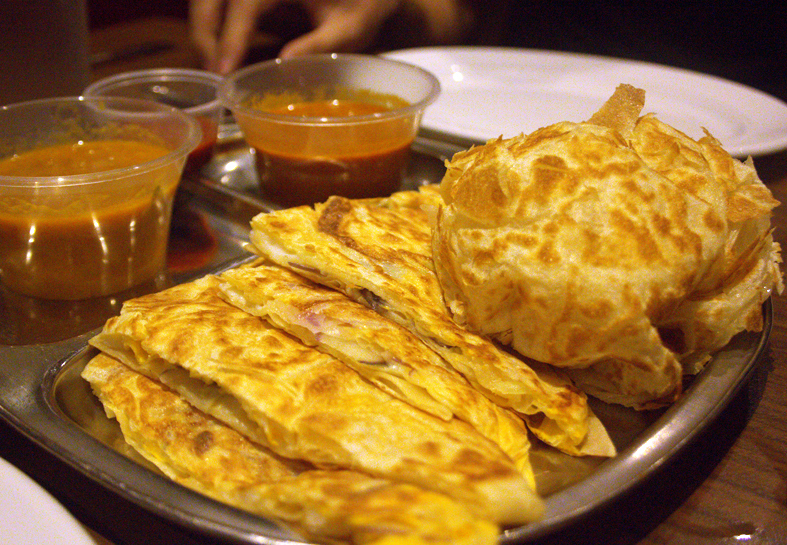 The Roti Telur (AUD6.5) is arguably the best for how classic it really is - an egg is cracked and pan-fried together with the roti, It is served with two different curry dips and also sambal sauce for those who cannot get enough of the spiciness! Highly recommended to go with the sambal. Good things come to people who wait: Roti Bom (AUD9) is one of those - 20 minutes waiting time is required, but time passes quickly when you have to appreciate the other mains. 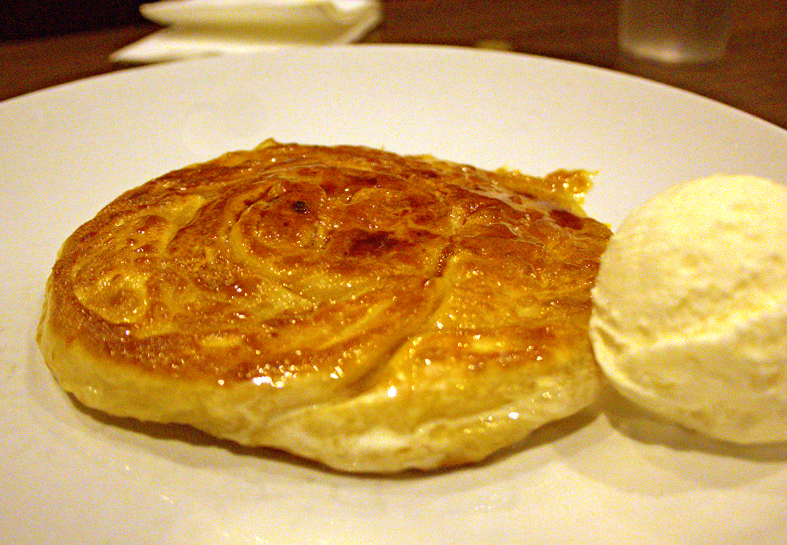 The Roti Bom is what sweet dreams are made of, served with a scoop of ice-cream to go with it. It was voraciously attacked after the cameras have eaten, and vanished in a minute. 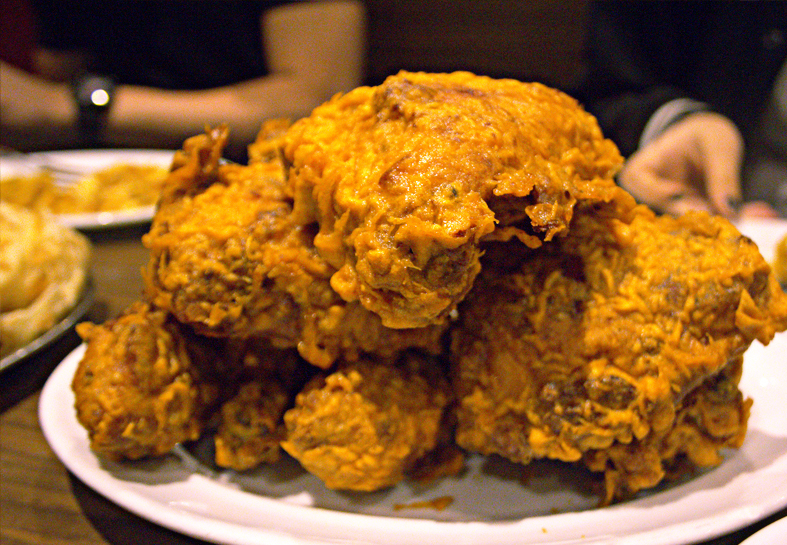 I'm not a huge fan of fried food, and while I find the Ayam Goreng (AUD14 for 4pc) lip-smackingly delicious, it is no doubt highly sinful and a little jelat to me. Will I pay AUD4 for Teh Tarik? Oh my, yes. When you're away from home, you lose perspective on prices and loosen the wallet in face of little comforting food like this. I'll say, take my money! 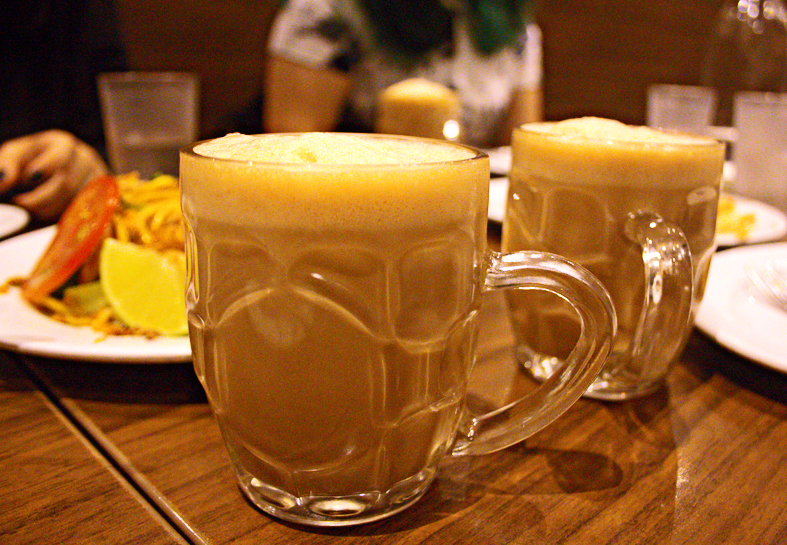 For those who wants to know, this Teh Tarik is very, very legit. Satay (AUD16/dozen) is definitely another soft spot of everyone that hails from a specific part of the world, and if you see it on the menu, you've just got to order it. 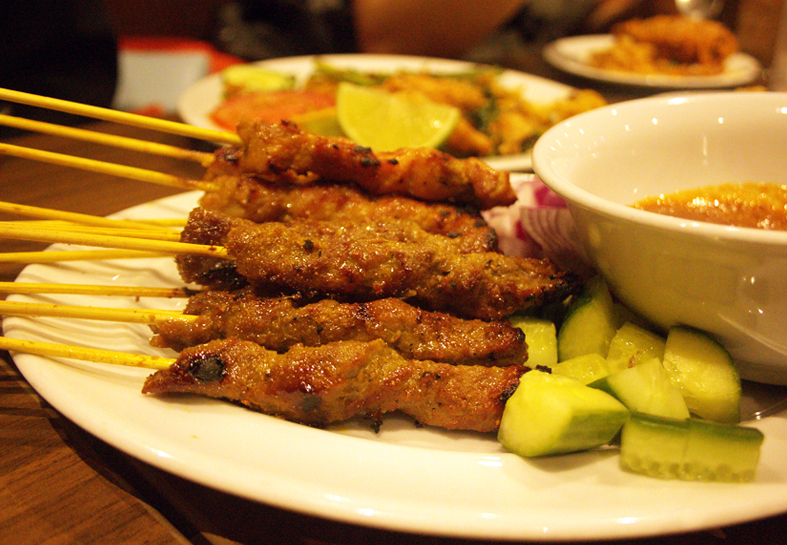 Nevertheless, I would think that nobody does satay as well as the street hawkers, and save your cash till then. 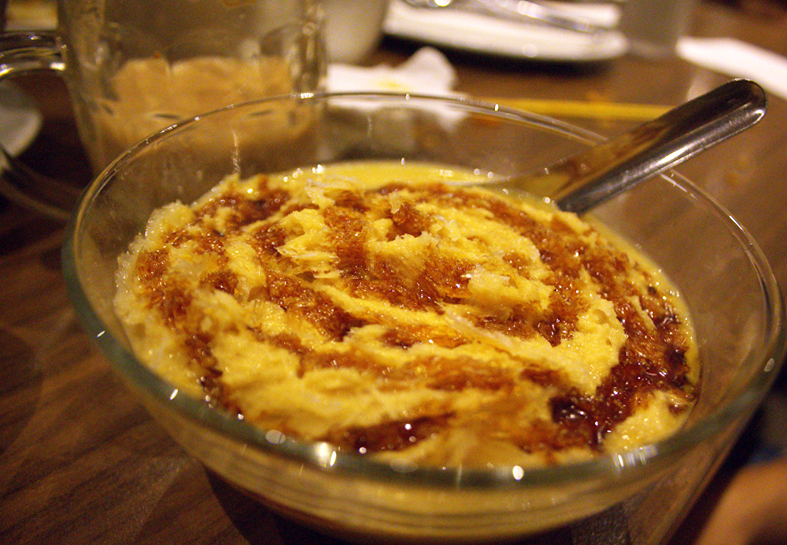 The Cendol (AUD6) seems oddly different from what was normally presented (think: 'bright green worms, red beans, toppings and lots of ice') - which I find that it's a little bit disappointing even though this dessert at Mamak is still undoubtedly refreshing and enjoyable. It depends - for those chasing after a sliver of home, this will not satisfy you. 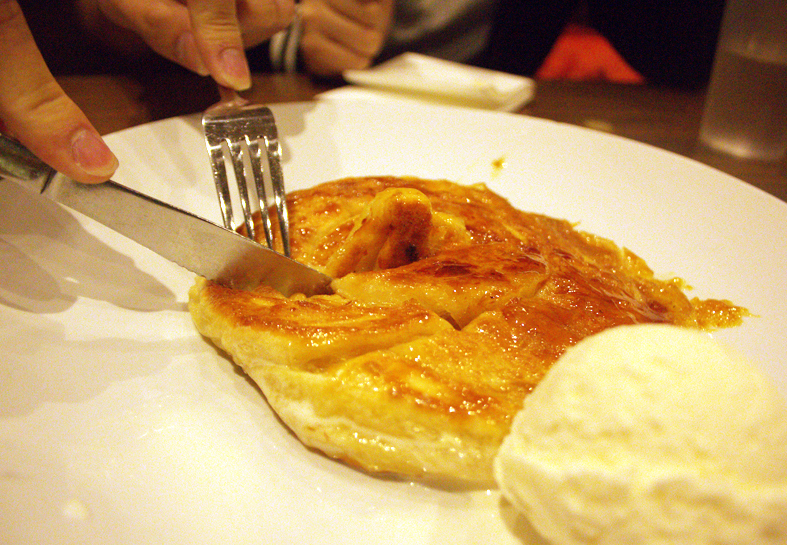 But if you just want a damn good dessert, go ahead and order this for a sweet ending.